In 2017, the Eurasian Patent Organization’s Administrative Council (EAPO AC) held its thirty-third (twenty-fourth ordinary) meeting. The EAPO AC Budget Working Group had its twenty-second meeting in the reporting year. 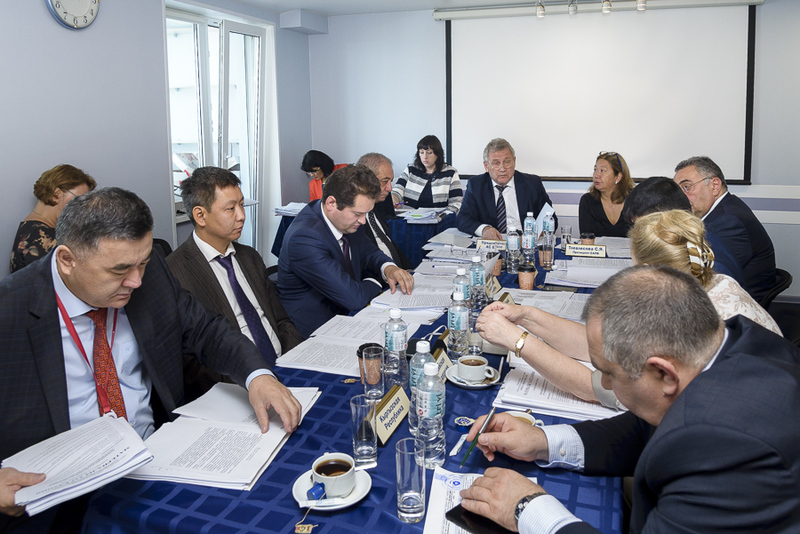 The Eurasian Patent Organization’s Administrative Council held its thirty-third (twenty-fourth ordinary) meeting in Vladivostok, 6-7 September 2017. The event drew participation from the Eurasian Patent Convention (EAPC) Member States: the Republic of Armenia, the Republic of Azerbaijan, the Republic of Belarus, the Republic of Kazakhstan, the Kyrgyz Republic, the Russian Federation and the Republic of Tajikistan. Mr G.P. Ivliev, Chair of the EAPO Administrative Council and plenipotentiary representative of the Russian Federation, presided over the meeting. the Protocol of Amendments to the Agreement Between the Eurasian Patent Organization and the Government of the Republic of Moldova on Legal Protection of Inventions in the Territory of the Republic of Moldova Past the Eurasian Patent Convention Denunciation by the Republic of Moldova, executed at Chisinau, 12 April 2012, and the Memorandum of Understanding Between the Eurasian Patent Organization and the Eurasian Economic Commission, both documents having been signed earlier by EAPO President S. Tlevlessova following the EAPO AC’ instructions. The Administrative Council's meeting made a major step forward by endorsing the initiative of the Eurasian Patent Office to explore the possibilities for establishing an EAPO-based legal protection system for industrial designs. EAPO President S. Tlevlessova was instructed accordingly to set up a relevant Working Group to incorporate representatives of the Contracting States. To take the initiative further, a diplomatic conference was scheduled for 2018 to sign the Eurasian Industrial Designs Convention. 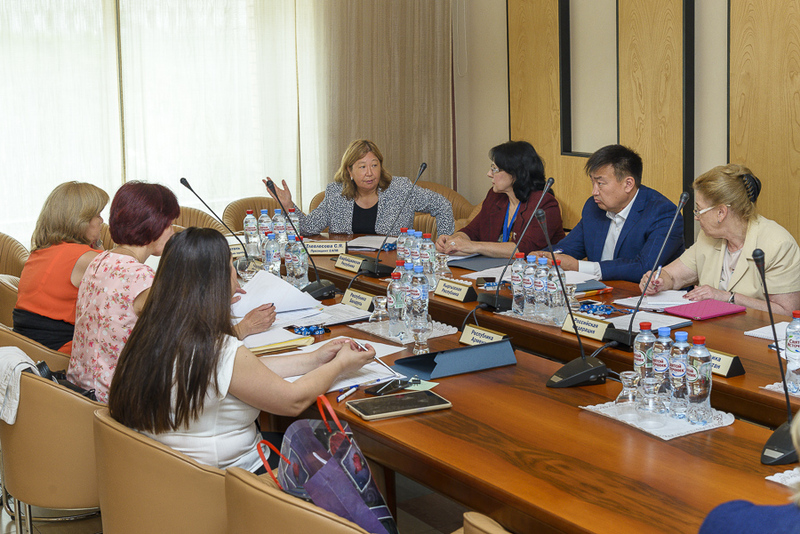 Also, the Administrative Council discussed suggestions from representatives of the Contracting States regarding amendments to some of EAPO’s regulatory documents, post-graduate training for national IP Offices’ staff at the Russian State Academy of Intellectual Property and regional EAPO-supported seminars to be conducted in EAPC Member States in 2018. Mr Tohir Kholikov, First Deputy Director, National Center for Patents and Information (NCPI), Ministry of Economic Development and Trade of the Republic of Tajikistan. Also, the EAPO AC resolved to award a gold medal to Mr V.N. Medvedev, Managing Partner, Gorodissky & Partners Law Firm (Russian Federation). The Administrative Council decided to hold its subsequent session in Dushanbe, Republic of Tajikistan, 2018. 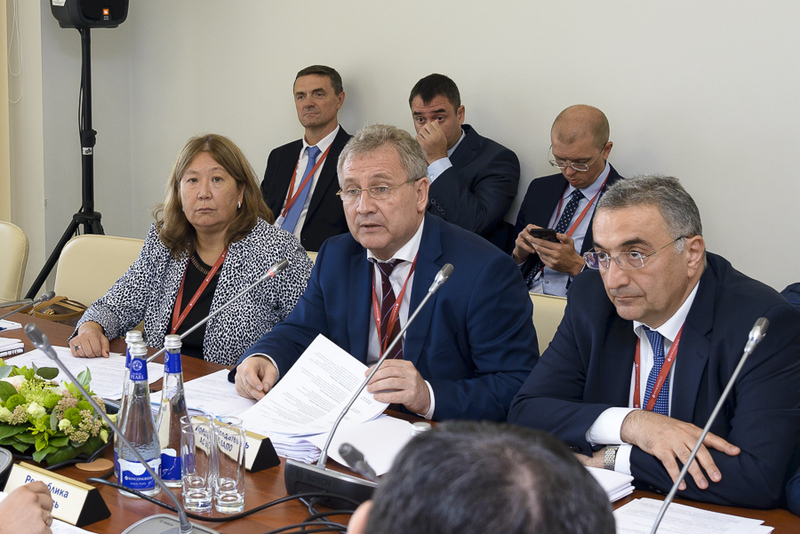 The Budget Working Group (BWG) of the Eurasian Patent Organization's Administrative Council had its twenty-second session in EAPO's headquarters, Moscow, Russian Federation, 3-4 August 2017. The BWG's twenty-second meeting drew the attendance of representatives from the national IP Offices of the EAPC Member States as follows: the Republic of Armenia, the Republic of Azerbaijan, the Republic of Belarus, the Republic of Kazakhstan, the Kyrgyz Republic, the Russian Federation, the Republic of Tajikistan and representatives of the Eurasian Patent Office. EAPO President S. Tlevlessova made an opening address. 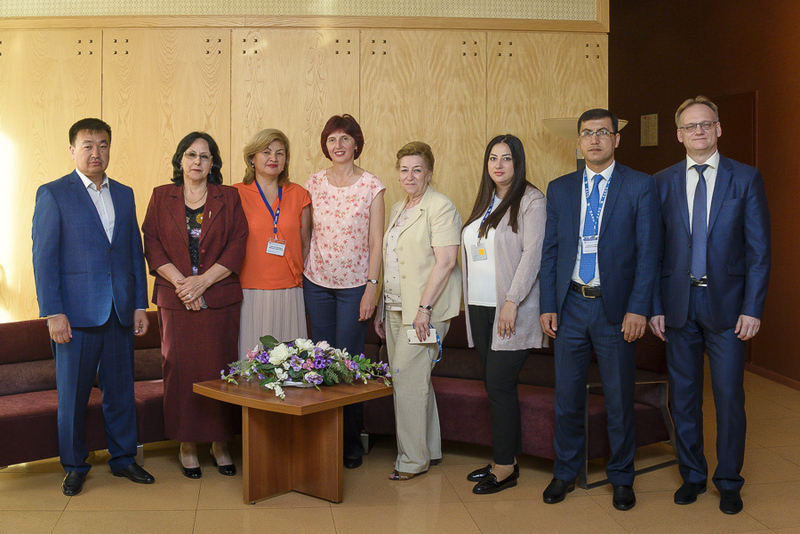 Ms Umela Khalafova, Director, Finance and Accounting Department, Patent and Trademarks Center (the national patent authority of the Republic of Azerbaijan,) chaired the BWG's twenty-second meeting. Following the deliberations, the BWG recommended that the EAPO annual report for 2016 be submitted to the Administrative Council for approval and supported EAPO's draft budget for 2018, recommending it for endorsement by the EAPO AC. Also, the BWG addressed the preparation of EAPO's financial statements and individual indicators of the Organization's business and financial performance. The BWG’s resolutions and recommendations were recorded in the session minutes and submitted for review to the thirty-third (twenty-fourth ordinary) meeting of the EAPO AC.